Many areas of pop music changed significantly from the end of the eighties to the beginning of the nineties. The glammy hair metal bands yielded to grunge. Overly glossy hip hop acts lost ground to those with greater integrity. Commercial pop became less and less distinguishable from club dance music. As the college and alt rock radio formats grew, the indie music path seemed to fork. Bands could continue on their established courses, shifting into these new formats and nurturing those audiences. (Even after Morrissey, Ian McCulloch and Marty Wilson Piper stepped outside their eighties bands, they continued more or less with their original sounds.) Or they could tinker with the new sounds they couldn't help hearing around them, seeing new opportunities with new audiences. The Happy Mondays who recorded '24 hour party people' in 1987 are not the Happy Mondays who recorded 'Step on' three years later, for example. You can hear this equivocation from track to track on Railway Children's Native Place. 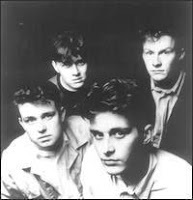 Their previous work had drawn comparisons to Smiths, but included keyboard elements that made it clear that they knew the dancier corners of indie pop, too. As rave culture boosted its music into the mainstream, they didn't turn a blind eye. 'Music stop' nods to those ideas, without sacrificing Railway Children's aesthetic. But I can't help feeling that for lead singer/primary songwriter Gary Newby, his course was always clear: acoustic guitars would never be squeezed out by electrics and electronics, and the strongest Railway Children songs actually demonstrate how gorgeously they can all coexist. By staying true, they produced one of their finest tracks. Of jangle pop's great anthems, the luminous 'Every beat of the heart' ranks among the best; it practically embodies that Platonic ideal. It's impossible to remain still when listening to it, and it's quite hard to resist singing the chorus, even if the second chorus is the second time you're hearing it. The song's main device is its use of spatial metaphors for love, though there's nothing as pretentious about it as that might sound. The failed relationship our narrator is leaving is a landscape, and his progress out of and away from it is measured by heartbeat - a unit of time that is just as much a location itself. His lover was accustomed to directing him in and around this terrain, and his emancipation is expressed in his movement without guidance. The song's major key and dynamic energy initially distract us from the serious decision our hero has just made. A chorus that begins with 'Every beat of the heart' could very well continue with protestations of love - one thinks of Amy Grant's 'Every heartbeat', one of the most optimistic power pop love songs of the following year. But in this case it is the exact opposite: 'Every beat of the heart / brings me closer to the start / Takes me further away from you / Brings me closer to the truth'. Then, another spatial metaphor: 'Don't show me around / It's just an easy way you've found'. We're more accustomed to songs about taking back power and leaving behind unsuitable lovers when they're sung by women. But there's a similar sense of resolve and empowerment in 'Every beat of the heart'; we are happy for our hero even as he takes a hard road alone. In some ways it's a song that epitomizes a specific moment in pop time; the cotton candy video with its hand-tinted effects takes most of its plays from the Matt LeBlanc Cherry 7Up commercial. But it's more than that - 'Every beat of the heart' is a song overdue for an affectionate cover, from one of the latest generation of sensitive indie-pop guys who have been rewriting it for the past fifteen years, whether they realize it or not.